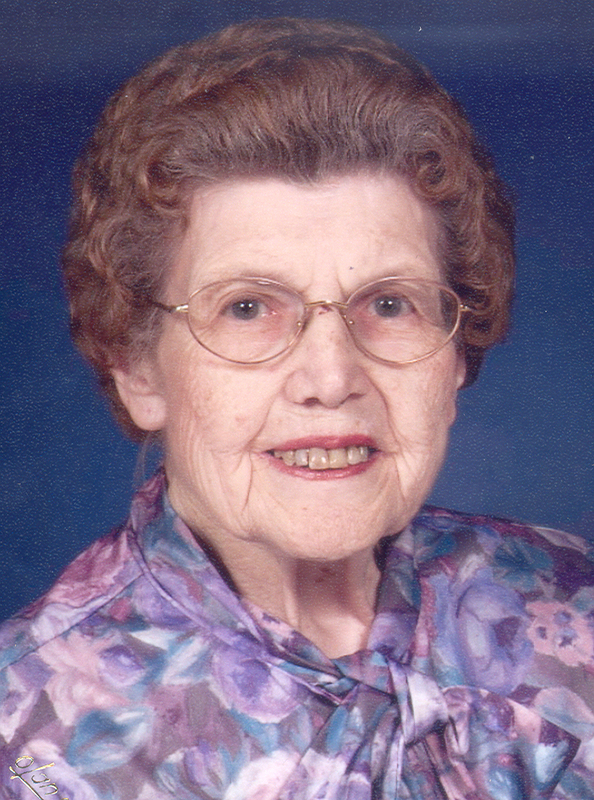 Adelle A. Korte, nee Woltering, 86, of Breese, died Saturday, August 26, 2006 at Aviston Countryside Manor. Mrs. Korte was born May 24, 1920 in St. Rose to Theodore and Louisa (Braun) Woltering; they preceded her in death. Also preceded in death by Brothers, Herman Woltering, Edward Woltering, and Joseph Woltering; Sisters, Sr. Lucille Woltering, ASC, Sr. Collette “Anna” Woltering, ASC, and Marie (Thien) Moss; Sisters-in-law, Josephine Woltering and Edna Korte; Brothers-in-law, John Moss, Vincent Thien, Eugene Korte, and Alvin Korte. a Son-in-law, Wynn Frost. She married Leo Korte on November 27, 1947 at St. Francis Catholic Church in Aviston; he survives in Breese. Also surviving are children, Mary (Peter) Bondioli of Herrin, Jerry (Judy) Korte of Breese, Jim (Julie) Korte of Chatham, and Nancy (Floyd) Loss of Salem. A Sister, Veronica Ritchey of Branford, Florida; Sisters-in-law, Alice Woltering of Aviston and Marcella (Al) Rascher of Breese. She was a member of St. Augustine Church and Ladies Sodality in Breese, and was the past president and secretary of the Breese Senior Citizens. Funeral Mass of Christian Burial will be Wednesday, August 30, 2006 at 10:00 AM at St. Augustine Catholic Church in Breese with Fr. Joseph Rascher and Fr. Chuck Tuttle officiating. Interment will follow in St. Dominic/St. Augustine Cemetery, Breese. Visitation will be Tuesday, August 29, 2006 from 4:00-9:00 PM and again on Wednesday, August 30, 2006 from 8:00-9:45 AM at the Moss Funeral Home in Breese.